This is a Porcupinefish about 24 inches. Photo by Rod 18 Nov 2004. 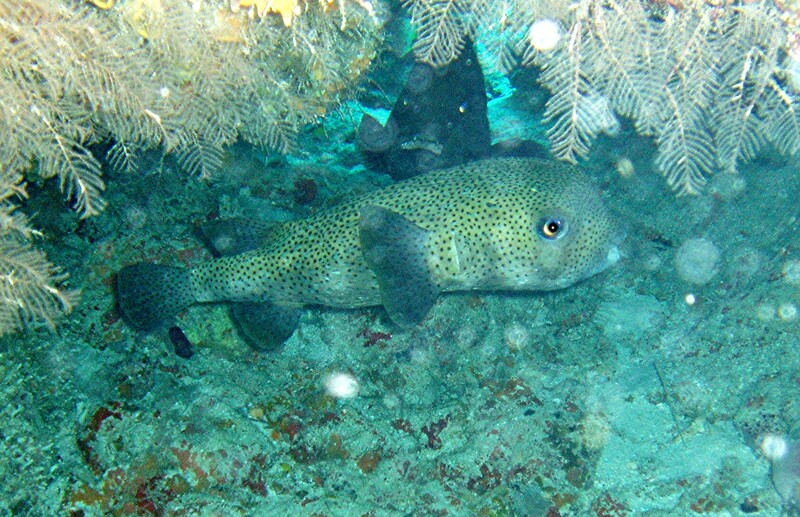 Porcupinefish about 18 inches. Photo by Rod 14 Feb 2009. 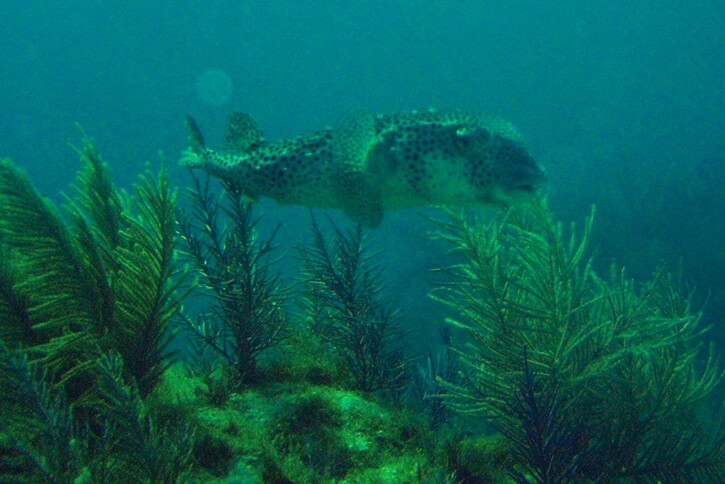 Location , Banana Reef, Key Largo in about 20 feet water. 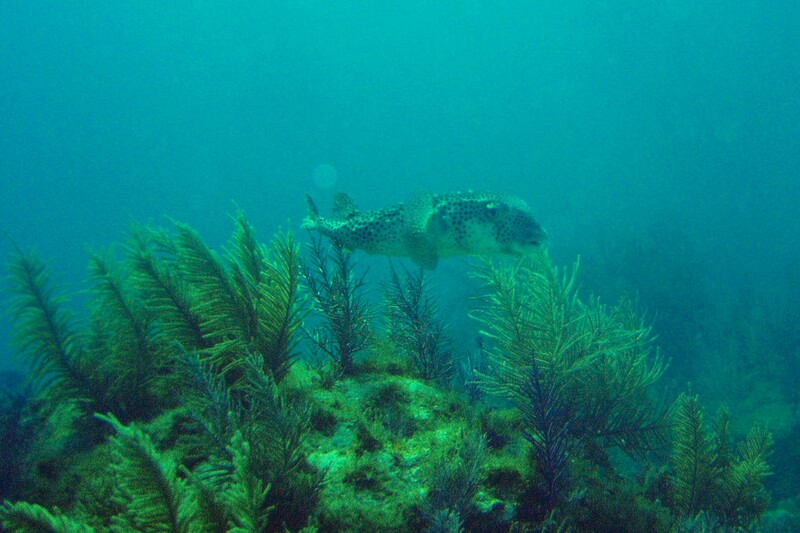 Notes: also known as "Spotted Spiny Puffer"